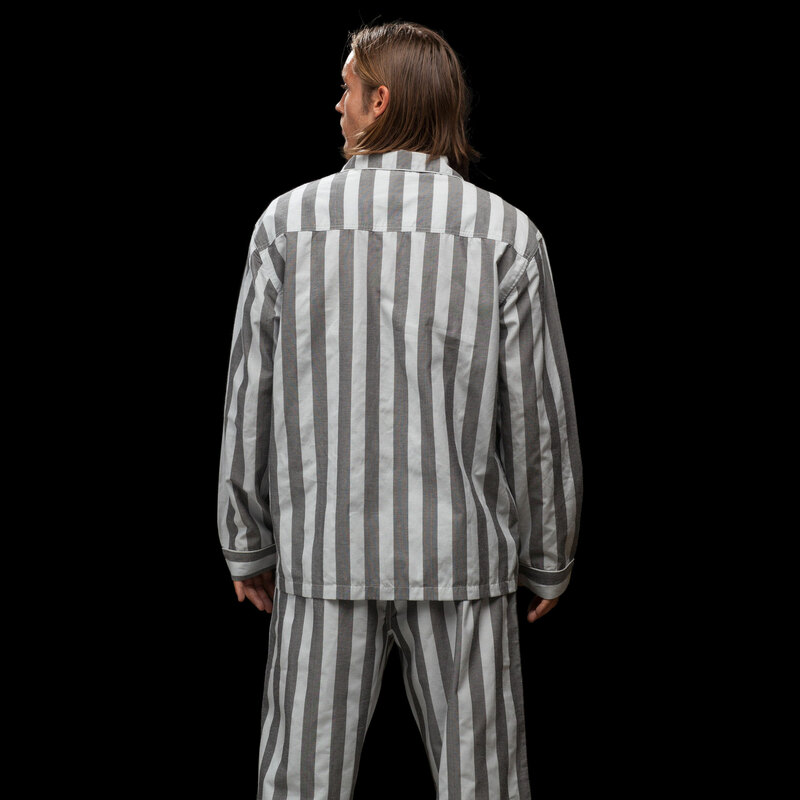 We’ve brought this 19th century prisonwear staple back in the form of nightwear. 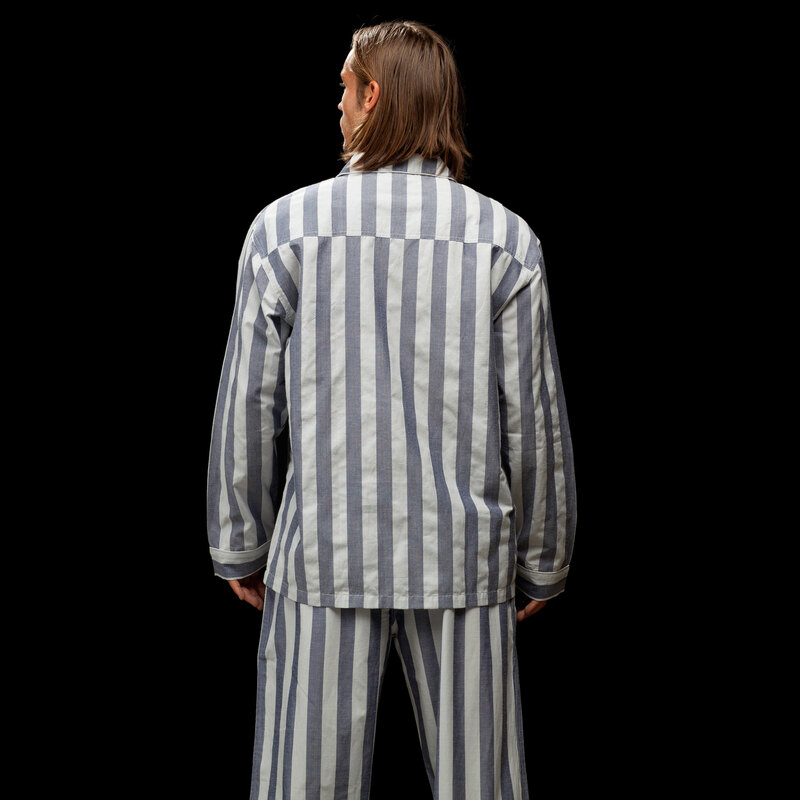 Similar patterns and simplistic cuts have been adapted to the modern era. 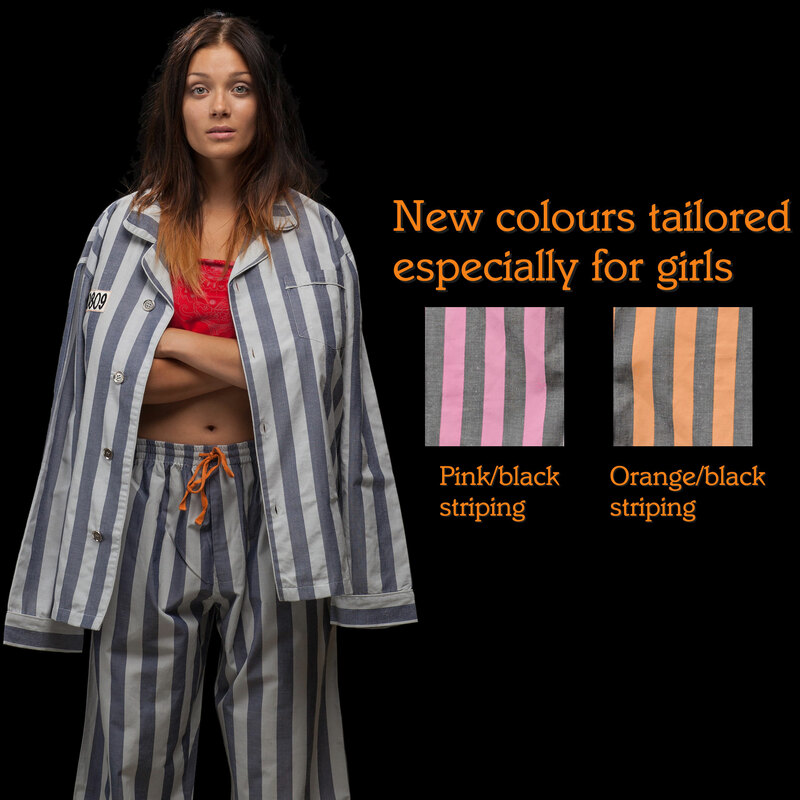 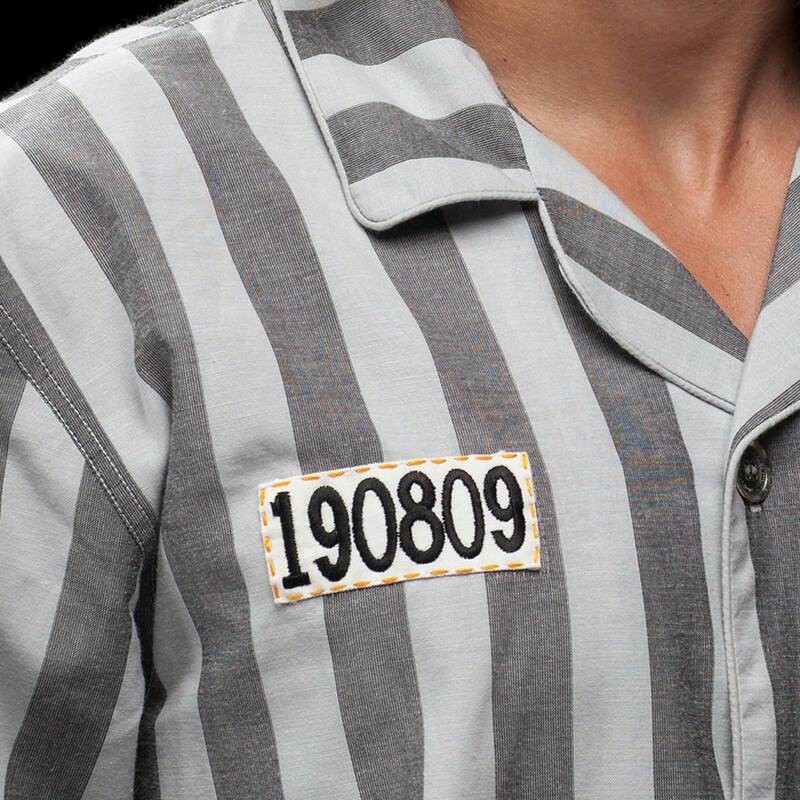 This relaxed nightwear made from organic cotton blend contains piquant details like county orange finishing and a chest pocket with toothbrush section – handy in prison.